Being the hottest season of the year, summer brings about many concerns that affect the health of not only seniors, but society as a whole. At Cedar Hills nursing home and memory care center, we know just how hot the Vermont summers can get. That being said, we have created a list of precautions that you should be taking each day throughout the summer so that your well being and health is front and center of your priorities. Our bodies naturally react to heat in a way that is intended to cool our bodies down back to a comfortable level, this is why we sweat. Because each of our bodies run at different temperatures, some of us sweat more than others. In order for our bodies to cool down through this method, they need to be hydrated. Each day you should be drinking at least 8 cups of water, more if possible. Dressing comfortably during the summer will not only contribute to how physically comfortable you are as you move around while doing activities, but it will also ensure that your body isn’t over heating throughout the day. Try and stick to lighter clothes that breathe easy. There are plenty of materials that are used to create cool clothes that are not only gentle to the touch but will allow for you to keep at a comfortable level during the summer. Aside from these two primary tips, it’s important that you communicate. That includes communicating with your doctors, nurses, family and friends when you plan on being out in the sun for extended amounts of time or when you are feeling even the slightest bit of discomfort. 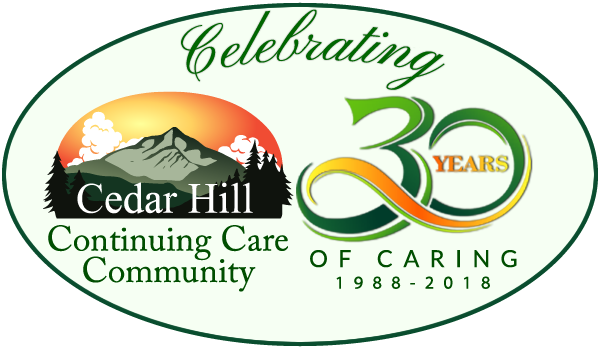 At Cedar Hill nursing home here in Windsor, our staff is extremely involved in the lives of our patients. Call us today to learn more about our nursing home today.